Hi! My name is John Saxton, and this is my website. Periodically I do interesting things that I’d like to share with the internet, and hopefully this blog will help me do that. Given that this is an “About Me” page, I suppose I should tell you a bit about myself. I reside in Minneapolis, and I graduated from the University of Minnesota in 2008 with a degree in Computer Engineering. I’m currently employed by Symantec where I work on the NetBackup deduplication engine. I don’t like reinventing the wheel, so rather than provide a summary of what I have done professionally, I’ll just link to my resume. Some of my interests include Linux, computer security, software development (mostly C and Python), and non-technical things like travel and biking. 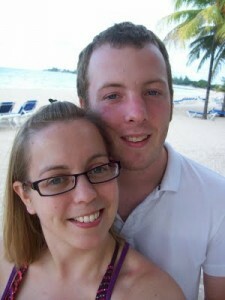 To the left is a picture of me in Jamaica with my awesome girlfriend Mindy. Feel free to shoot me an email at jsaxton@gmail.com.